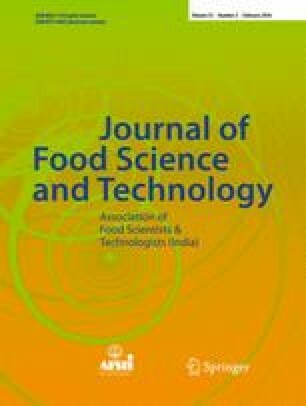 In this research enzymatic hydrolysis of rice bran protein concentrate (RBPC) and soybean Protein (SBP) as control were studied with 3 commercial enzymes (Alcalase®, Papain and acommercial 3-enzyme cocktail containing of 1.6 mg ml−1 Trypsin, 3.1 mg ml−1 Chymotrypsin, 1.3 mg ml−1Aminopeptidase (SIGMA P7500) and 7.95 mg ml−1pronase type XIV (SIGMA P5147) by the pH stat method. The hydrolysis was carried out at temperature of 28 C, 60 min and pH 8.00. Results were showed that RBPC, and SBP had higher Degree hydrolysis (DH %) with Alcalase® enzyme. Alcalase®had stronger capability for hydrolysis compared to the other tested enzymes. After 60 minute of hydrolysis time, the DH% of Alcalase® for RBPC and SBP was 12.69 and 12.50 %, respectively. In contrast, papain enzyme was showed lowest DH% in three substrates that 1.56 and 1.24 % were for SBP and RBPC, respectively.The hydrolysis of the protein fraction performed the three enzymes on the two substrates was followed in SDS-PAGE. RBPC and SBP showed almost complete digestion with Alcalase® enzyme after 60 minutes. 3-enzyme cocktail enzyme hydrolyzed better the RBPC than the SBP. Papain enzyme had less effect on the two substrates than other 2 enzymes. It was found that Alcalase® has highest capability for hydrolysis compared to other enzyme preparations. The high value protein hydrolysates prepared by Alcalase® can be used as value added ingredients in many food formulations. They are also suitable for a broad range of industrial food applications and also for cosmetic and personal care products. • Rice bran protein concentrate can be used as a value-added product. • The hydrolysis was used for the study of rice bran protein concentrate. • For enzymatic studies, pH stat method and SDS-PAGE method were used. • The Alcalase® enzyme for substrate hydrolysis was more efficient than the other two enzymes. • SDS-PAGE could represent protein fraction of hydrolysates.